My father told me very, very early in my life that why my third Ibo name is Nnenna –father’s mother, was because I am his comeback mother. It was said that when my father’s mother was dying, she had promised my father that she would come again, this time as his daughter. Comeback mother: Buchi Emecheta was an archive show in fragments that unfolded in parts throughout its durational install, running from 5th – 19th April, 2018. The show centred on Buchi Emecheta’s personal archive: books, manuscripts, plays, personal letters, publishers letters, notebooks, ephemera, essays, newspapers and unpublished material. Elements were shown in both the Kingsway exhibition space and the Library at Goldsmiths. Buchi Emecheta was a powerful and complex Nigerian British writer, teacher, mother, library worker and feminist. She wrote prolifically and defied easy categorization. She is loved by many: Womanists read her fierce motherhood and solidarity. Feminists, her bold representation of the personal political. Queer readers have picked up on her strong community making. She is proudly held up as a writer of both Nigerian and Black British identity and has inspired many contemporary postcolonial writers. She spent her life demonstrating how she is many things. The tensions, refusals and stands shoot through her novels, plays and critical writing. At the ‘mid-way reception’ we invited author, Irenosen Okojie to read from her collection ‘Speak Gigantular’. Angelique Golding (MA Black British Writing) read from Buchi Emecheta’s ‘Head Above Water’ and we were very pleased to have Sylvester Onwordi with us to say a few words about the Buchi Emecheta archive. Sylvester’s photographs of the reception are featured on the Buchi Emecheta Foundation website. We have many of Buchi Emecheta’s books in the library. If you’ve not read her yet, ‘Joys of Motherhood’ is an excellent place to begin. I’d also recommend ‘Head above Water’ and ‘In the Ditch’. Many of her titles will be re-published with Omenala Press. To support the exhibition we curated a reading list and book display at the front of the library. One of the important things looking at Buchi Emecheta’s work was to acknowledge contemporary writing and storytelling that has come before, around and after her. You are welcome to access our reading list. 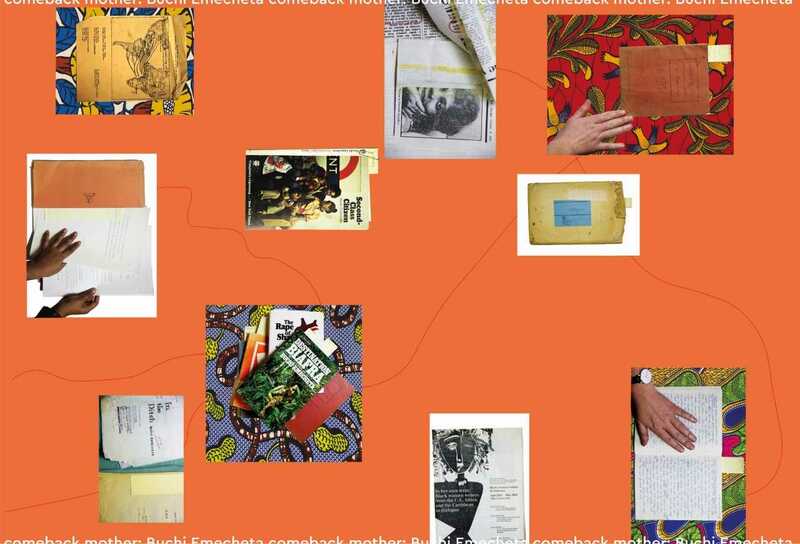 come back mother: Buchi Emecheta was co-organised by Halima Haruna and Jessa Mockridge in collaboration with Buchi Emecheta Foundation, Goldsmiths Library and supported by Goldsmiths Alumni & Friends Fund. With a very big thanks for all kinds of shaping, support and care from Sylvester Onwordi, Nadine Plummer, Angelique Golding, Althea Greenan and Laura Elliott. 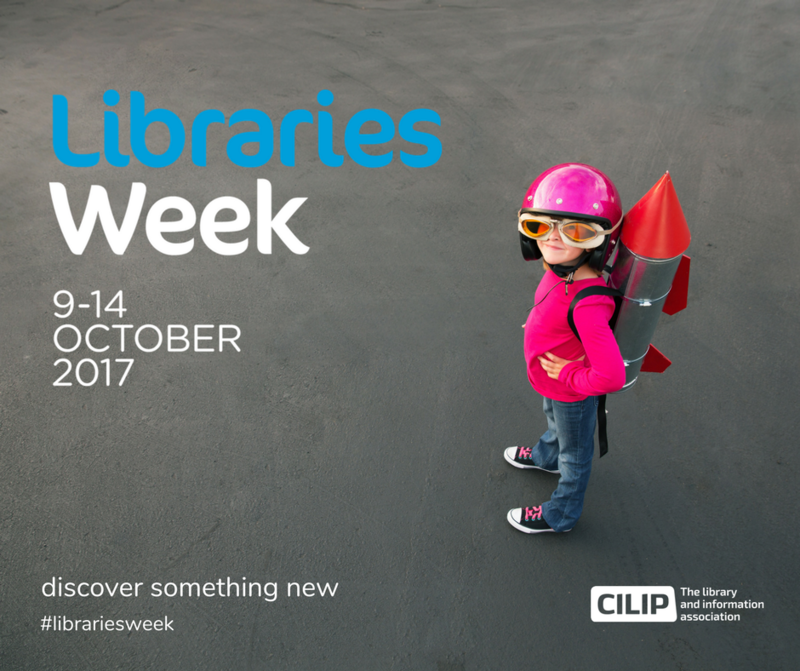 Libraries Week brings together a UK wide network of libraries from all sectors to showcase the diversity of activities and services on offer. Goldsmiths Library is planning an exciting and varied programme of events. 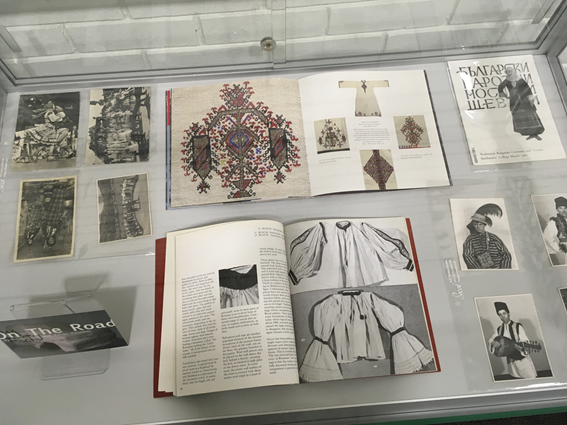 Discover and handle material from our collections, including archives, artist books and documentation, textiles, rare books, scores and ephemera. Open to all, drop in. An Interactive Fairytale Adventure for Under 5’s and their Carers. Join Becky, her cello and her ukulele, on her travels through a fairytale land, inspired by the School Practice Collection in Goldsmiths Library. We’ll be going on an interactive fairytale adventure, bringing storybook characters to life with songs and live instrumental music. 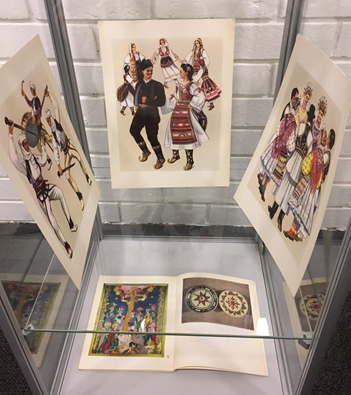 Part of the culmination of artist Bella Milroy’s residency at the Women’s Art Library. Open to all, drop in. Location: Kingsway Corridor, Richard Hoggart Building, Goldsmiths, University of London, Lewisham Way, New Cross. Opening reception for artist Bella Milroy’s exhibition File Under Female. Location: Room 142, Richard Hoggart Building and Kingsway Corridor, Goldsmiths, New Cross. How does a book move from one life toward another? 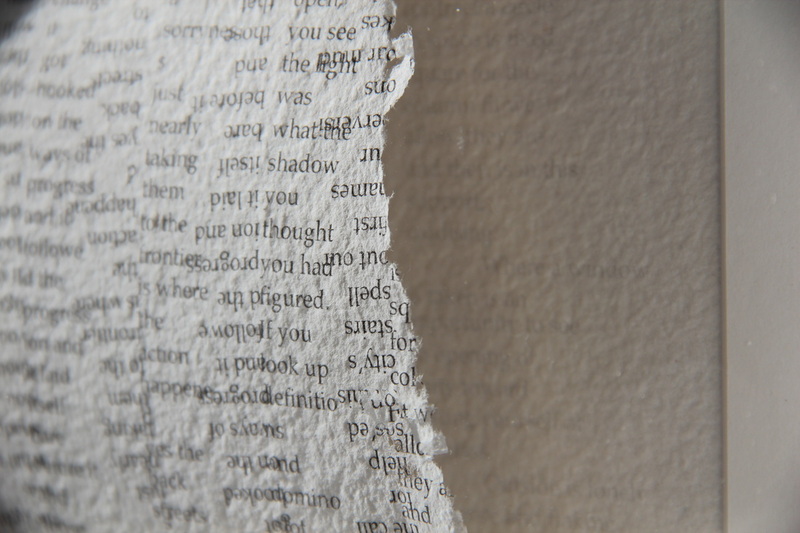 In this workshop you can explore the book as an artistic ally and look at how we might receive from them without necessarily needing to read them. We’ll go on to find some inspiration in order to communicate back – using a variety of simple collage and book alteration techniques. You’ll leave with some new ideas and a piece of book art in progress, to continue and develop in your own time.